Irlene Mandrell releases first ever single. The world is full of stories. Some are sad, while others are filled with happiness. Some stories are not told through words. Some stories are told through song. This is a story about a little girl named Irlene Mandrell. Irlene is the youngest of three sisters. You may know the stories of older sisters Barbara Mandrell and Louise Mandrell, but this is Irlene’s story. Like her sisters before her, Irlene was raised with traditional values. These values consisted of God, family and country. The values of God came to Irlene from her parents, attending church and reading her Bible. In the Mandrell household, family was important. A family that works together, stays together. Irlene’s love for country came in several ways. Her father served in the United States Navy during World War II. Over time, this little girl grew up to become a beautiful woman. She got married and divorced, twice. Not all parts of the marriages were bad, the good parts came in three beautiful children. Just like her parents did and their parents did, she installed the same values that she was raised on. God, family and country. Through the years, Irlene continued to perform for many events and in front of a wide variety of people. Many of which were charitable events. During these events, fans would often request a copy of Irlene’s album. Unlike her sisters before her, she had never released an album. 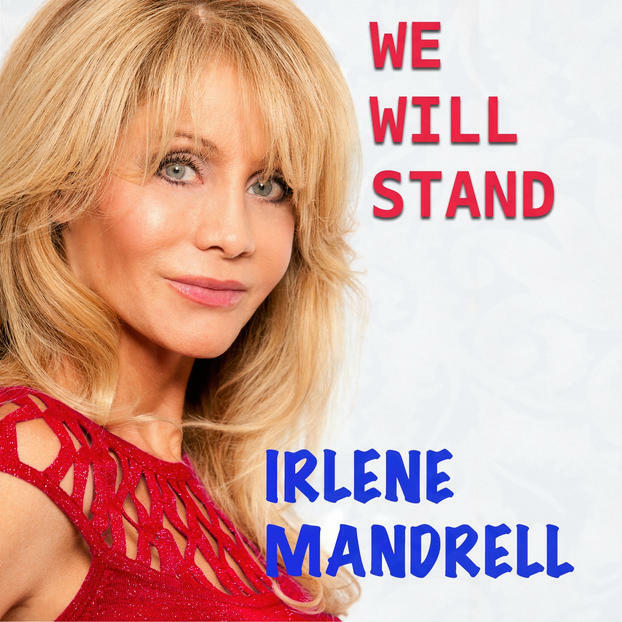 However on May 23, 2015, Irlene released her debut single called “We Will Stand.” The song contains a strong message of unity that has a touch of Memorial Day and Veteran’s Day mixed with the essence of the attacks on 9/11. We live in the land of the free. A nation united by our common beliefs. That we’re all created equal; every child, woman and man. We have the right to live our dreams the way our forefathers planned. There are those who vow to take it all away. To change our way of life and make us fear each coming day. But America is stronger than the acts of evil men. We will overcome them, no they will never win. We might bend, but we won’t break. We live and die for freedom’s sake. Our liberty was won by God’s own hands. So let us pray for wisdom from above. And we will be victorious as we defend the land we love. We may bend, but we won’t break. Irlene gains the help from her three children Deric, Vanessa and Christina as they lend their talents for background vocals. Irlene is currently working on her debut album. The release date has not been set. However, Irlene plans on releasing several singles prior to the album’s release. The album will feature songs that portray God, family and country. Irlene ensures us that the entire album will be dedicated to the Military. Interesting parties can find Irlene’s debut song “We Will Stand” where ever downloadable music is sold. This song has hit our list of Top Songs of 2015 and has earned a nomination for the Spirit Award’s Song of The Year Award. Some stories have an ending. However, in reality one story becomes part of another story that keeps going for generations to come. This is a story, in which the author is still writing. Click on image to purchase single.